How can we escape our darkest nightmares and visions, and to what lengths will we go to be relieved of them? fleetinghosts is an installation about that very subject created by Louisiana intermedia artist Amy Woodruff, fusing live performance, digital projection and handmade visual art. fleetinghosts originated as a series of six video shorts Woodruff created, beginning in the Spring of 2009. She then explored them as part of a performance installation. 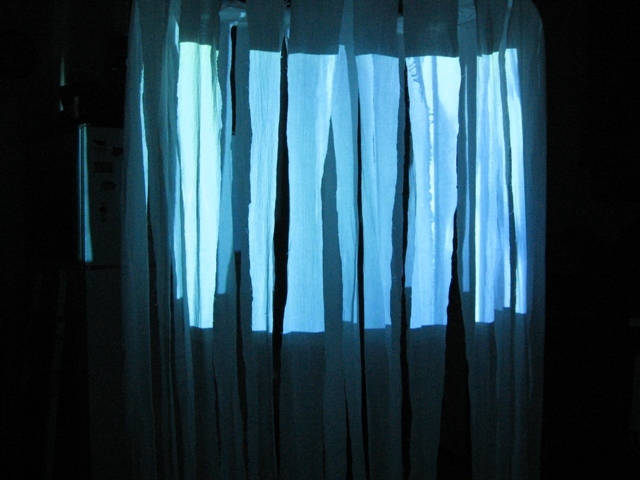 The videos were projected upon a "fabric forest" that Woodruff designed and built: an art object which appears in the videos as well as in the live version. These videos gave Woodruff a chance to experiment with projection upon her own body as she moves throughout the "fabric forest," and with projection upon the "forest" surface itself. This exciting visual and physical experimentation was part of the live installation as well. Both the projection and the live performance include original writing, poetry, and vivid descriptions of Woodruff's own dreams. 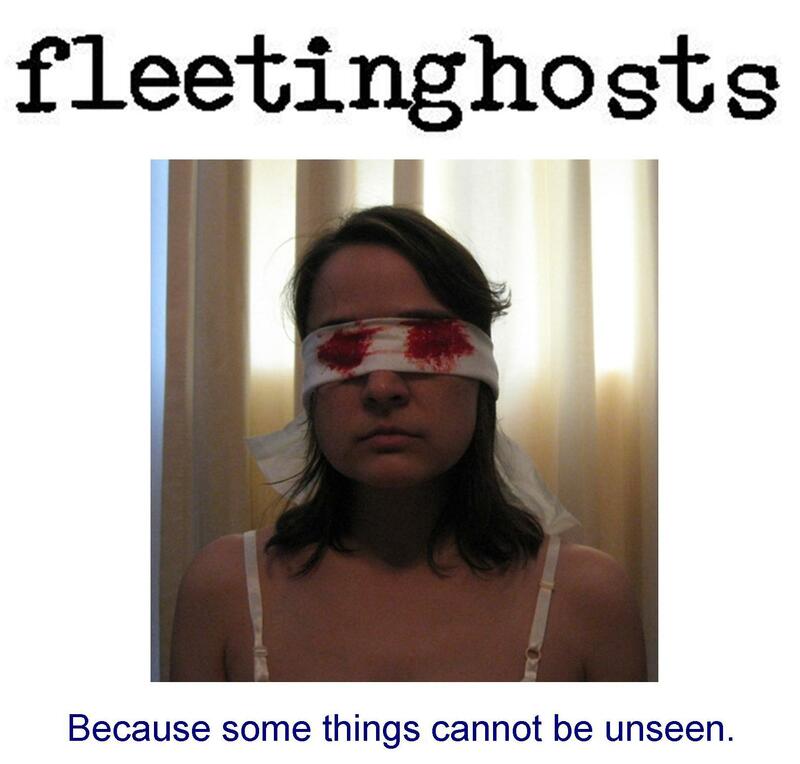 fleetinghosts is non-linear in nature, but has a unique arc to it; it would appeal to audiences who appreciate contemporary performance art. The performances at M.I.C.A. were presented as part of Four Humours Theater's 2010 season. fleetinghosts is recommended for mature audiences; the installation running time was approximately 35 minutes. All photographic images & certain logos used on this website are the property of Amy Woodruff & may not be used without consent. Web design by Amy Woodruff. Woodruff's works and website are licensed under a Creative Commons Attribution-NonCommercial-NoDerivatives 4.0 International License.